The Vegan Kind: Monthly Vegan Lifestyle Box Premiere! So, you may have noticed my absence the last couple of weeks…that’s because I’ve been off doing a train trip around Central Europe. I’ve been to Prague, Vienna, and Budapest! (Check out my photos over on Instagram) I had a great time, the cities were beautiful, and I ate well – more on that soon! Anyway, today I want to tell you about a box I got a few weeks ago – but haven’t had a chance to review until now due to my holiday! The folks over at The Vegan Kind were nice enough to send me a free box to review. 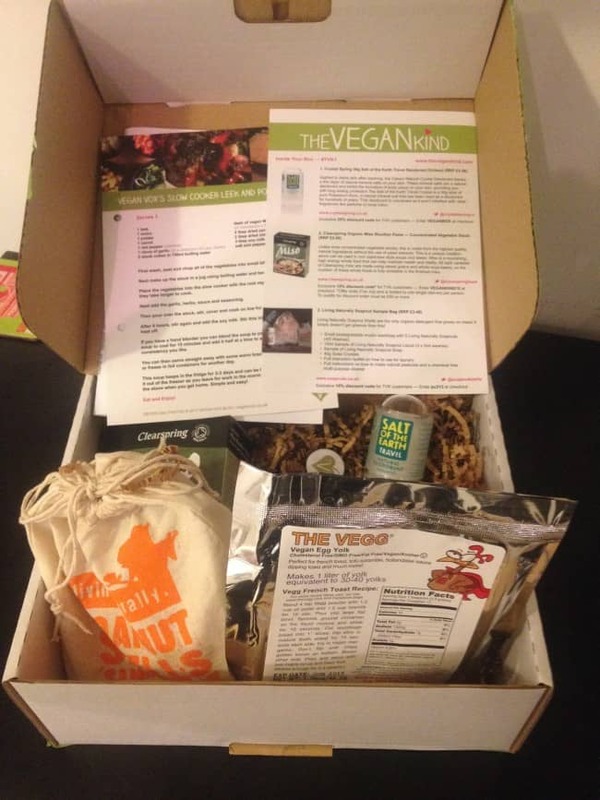 For a long time, I lamented the lack of vegan monthly box subscriptions in the UK, similar to the US service Vegan Cuts (although they do ship overseas now!). All of the sudden, we have not one, but two vegan boxes available (click HERE to see my reviews of the best vegan boxes in the UK and abroad)! 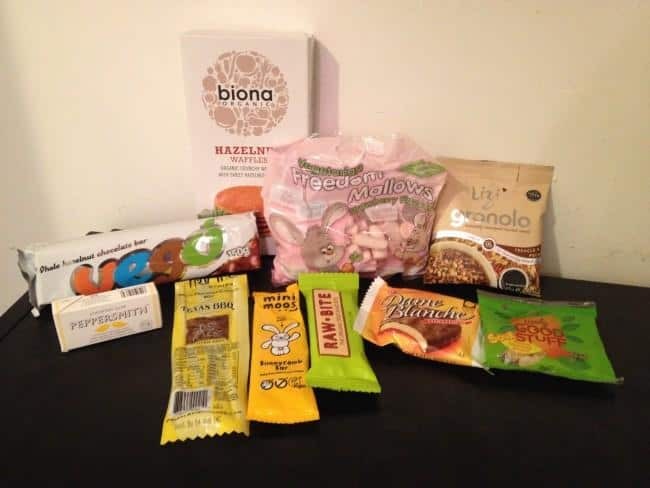 The first one I discovered and tried was the Vegan Tuck Box, which I reviewed recently. 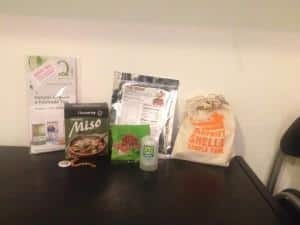 Not long after I heard about the Vegan Tuck Box, I discovered The Vegan Kind, a monthly vegan lifestyle box. They offer a mix of products; so they provide not just food, but also household products and toiletries! They also include a recipe in each month’s box (I’ll be providing one for an upcoming box – more on that later!). 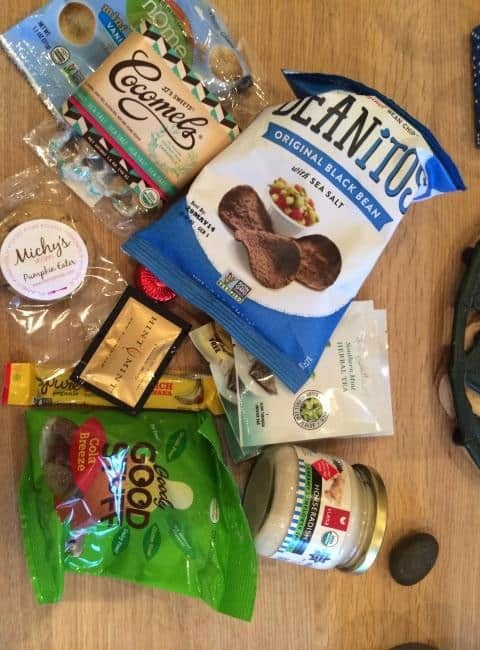 So, what was inside the very first Vegan Kind box in November? One thing I really like about The Vegan Kind box is the letter they provide with a description of the different brands included in the box, plus some discounts! And on top of that, there’s a recipe card featuring a different recipe each month. I’m excited to say that one of my recipes will be included in the December box! You can subscribe to The Vegan Kind here. The December box will be shipped on 10 December. Be sure to subscribe before the 1st to get the box! Disclosure: The Vegan Kind folks were nice enough to send me a free box to review, but all thoughts are my own! If you still buy vegg you are probably overpaying! Just look at the ingredients, all it has in it is engivita yeast flakes, sodium alginate (used to thicken it and is what allows the spherification magic to happen when plopped in calcium chloride) and black salt (for the eggy flavour). Oh and beta carotene, but who wants that? Your homemade vegg will be pale yellow instead of orange – I think it looks more natural honestly. Just grind the powders together then blend with water as usual. You might have to play around with the quantities to get it right, the good thing is you can add the black salt to taste!